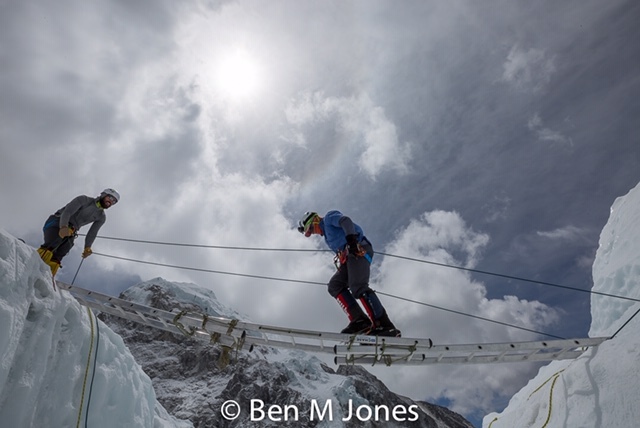 Yesterday we had our last training and review session in the Khumbu and the team did outstanding. Today we were expecting a storm so was a planned rest day while we see how much snow we get. Last night we got about 3 inches of snow and are expecting more this afternoon. Right now some of the team are making a snowoman so will definitely get a photo of that out as soon as the masterpiece is finished. We are all getting a little antsy to get moving on the mountain but still have a few more things to accomplish before we do that. We are right on schedule though from years past. If everything goes to plan we will be moving up to Camp 1 on the 21st or 22nd. But things can change and we have a solid patient team, and plenty of time. This is one of the reasons an Everest expedition takes 2 months. We have to be flexible and we want to make sure the entire team is ready before beginning the climbing. I’m not a fan of trying to shorten the expedition because I feel like these first couple of weeks at Basecamp are really important for acclimatization and a healthy successful team.